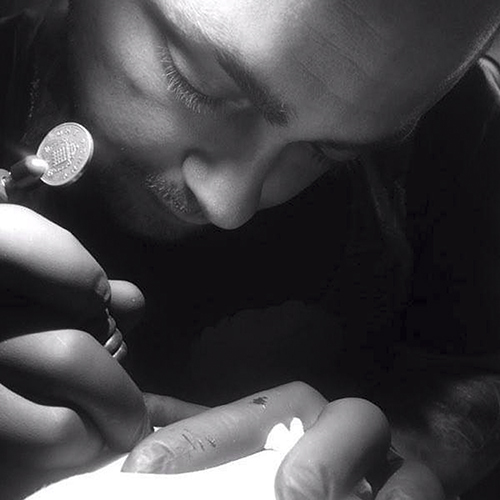 He started drawing in his early childhood, supported by his parents. 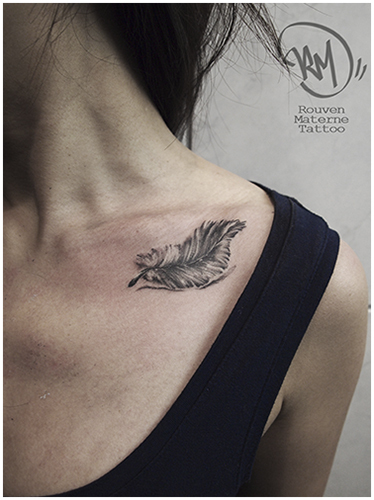 But paper and canvas was not enought for Rouven, so he began to do some Graffities. 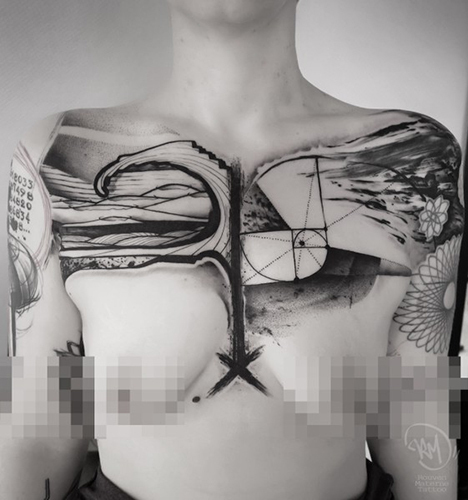 He started to study art for teaching profession, just to notice that he loves to be creative with art, but does not want to teach others how to handle that. 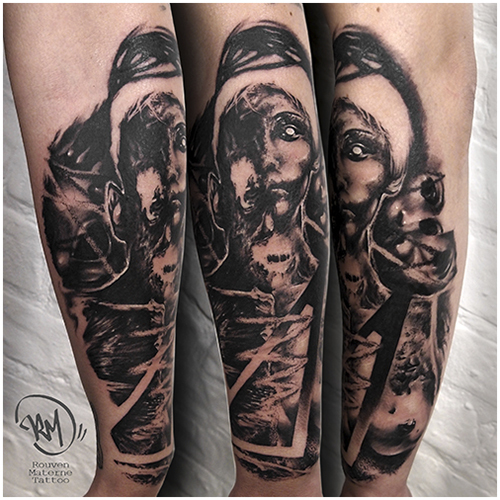 So he changed the option and studied art, learning sculpturing, performances with different media, object art and much more to try out. 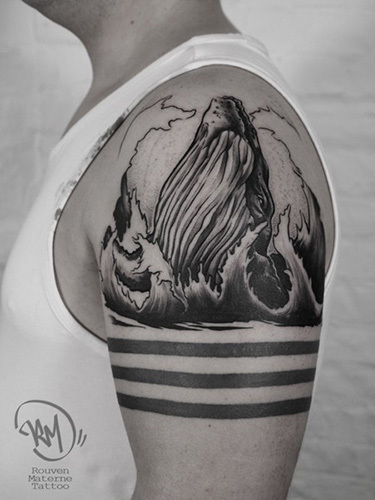 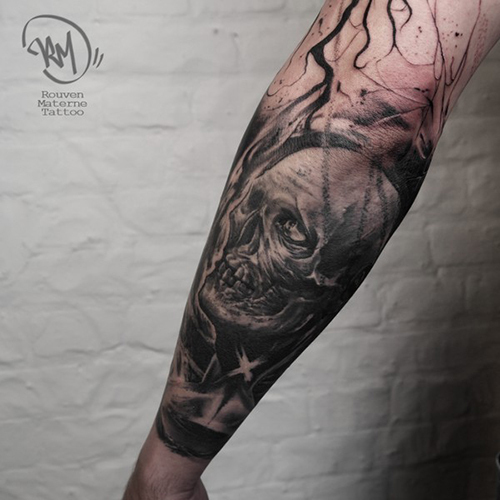 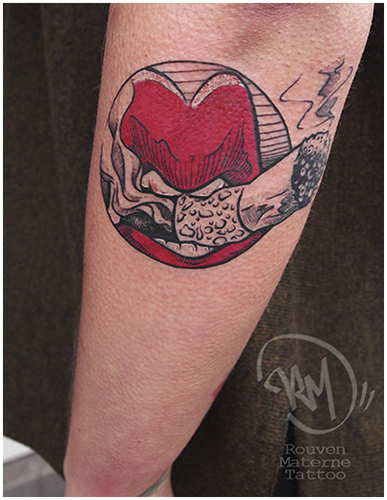 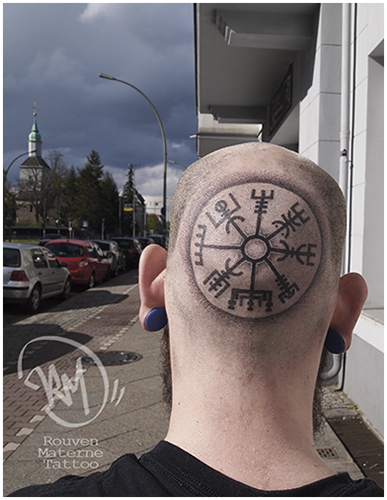 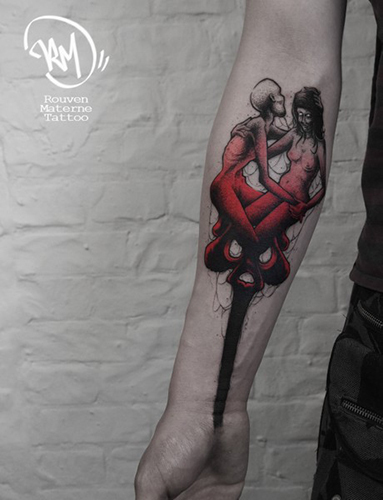 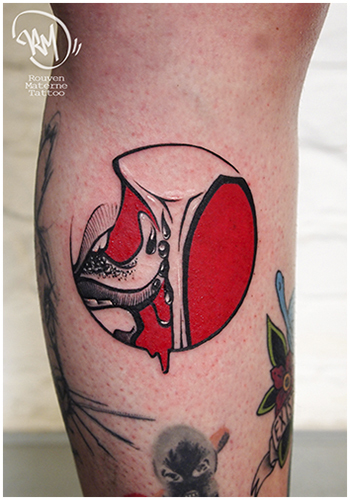 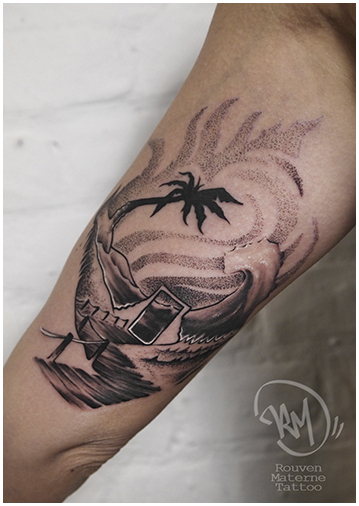 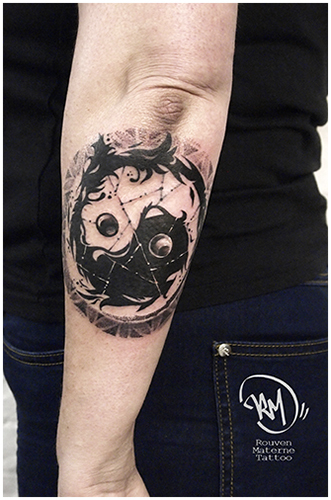 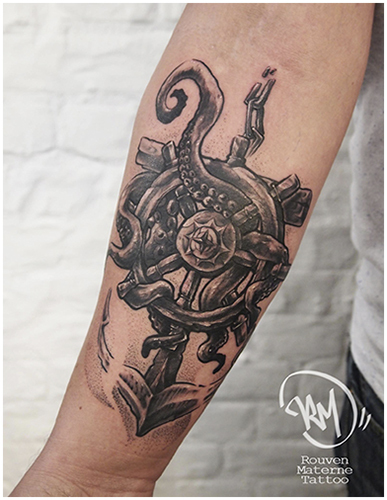 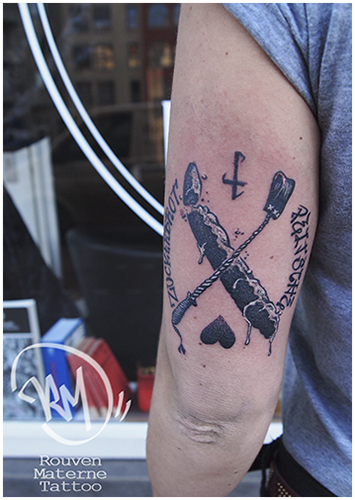 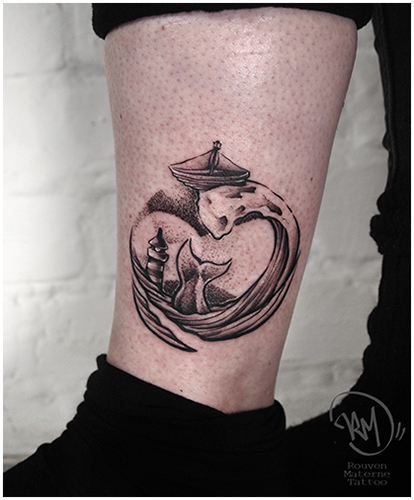 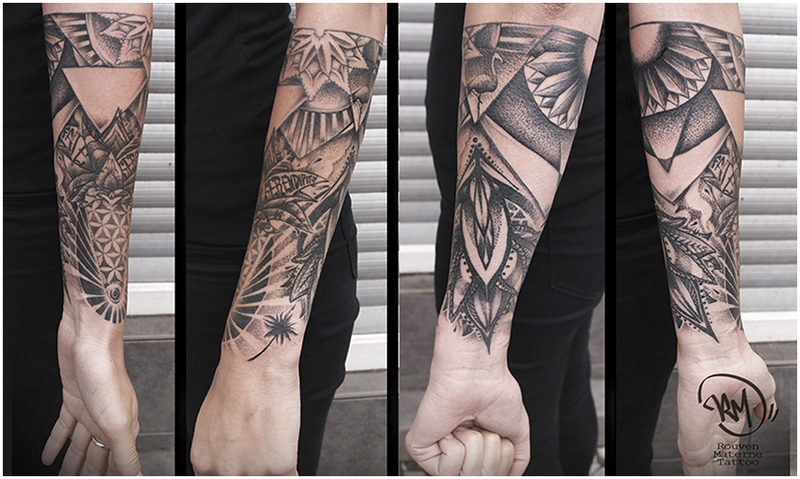 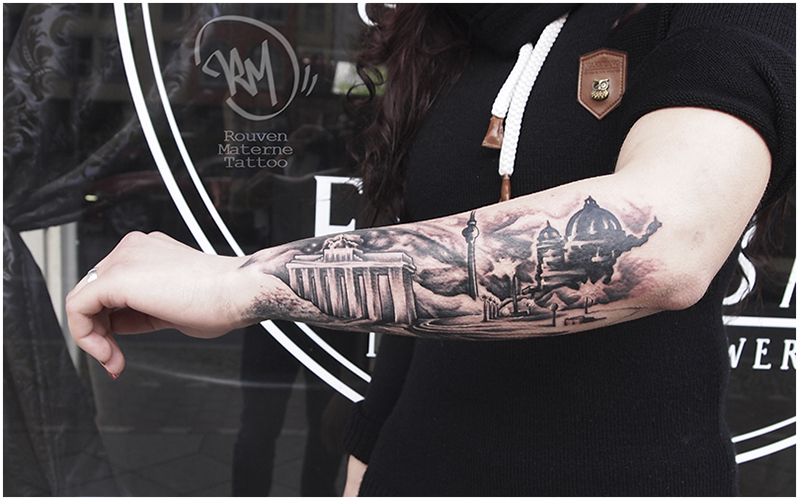 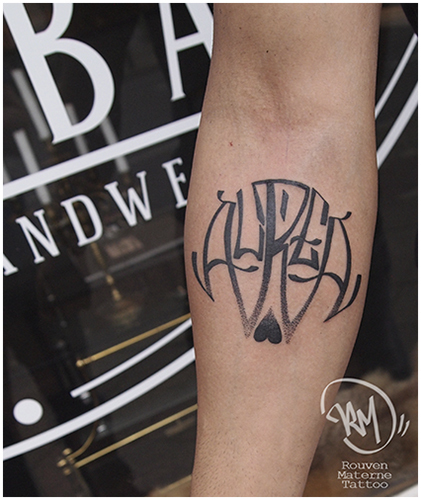 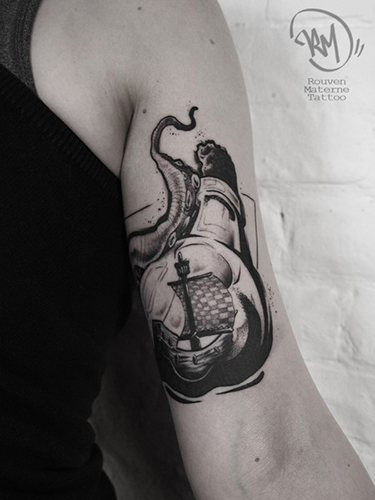 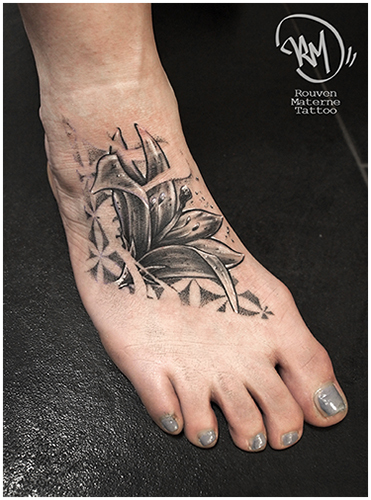 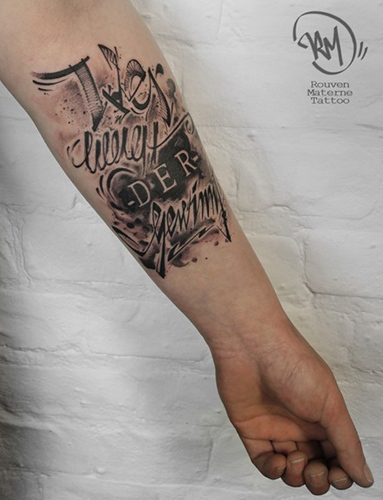 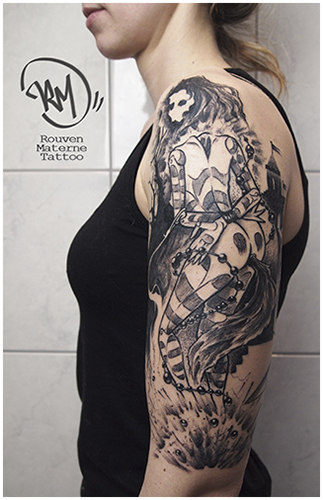 He finished the university but with an old fascination in his mind: tattooing… he started his carrer as tattoo artost 2015 and was traveling for more than a year all over germany. 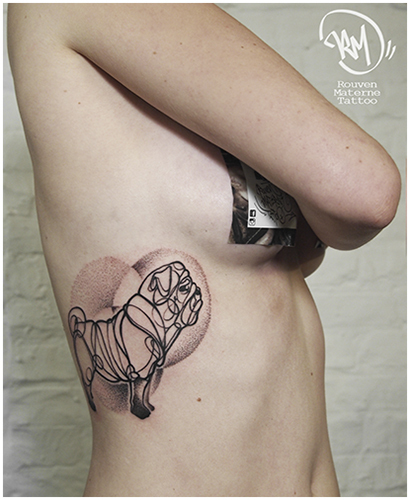 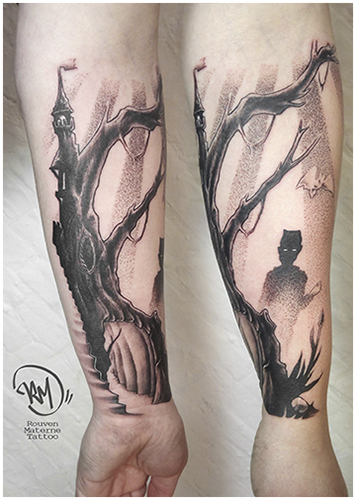 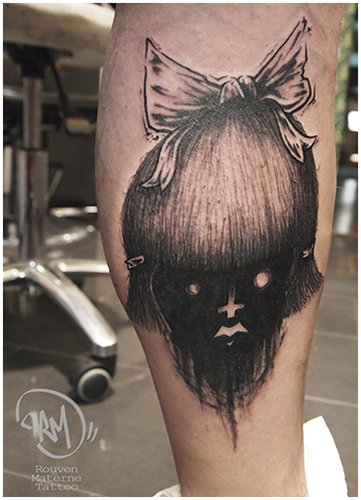 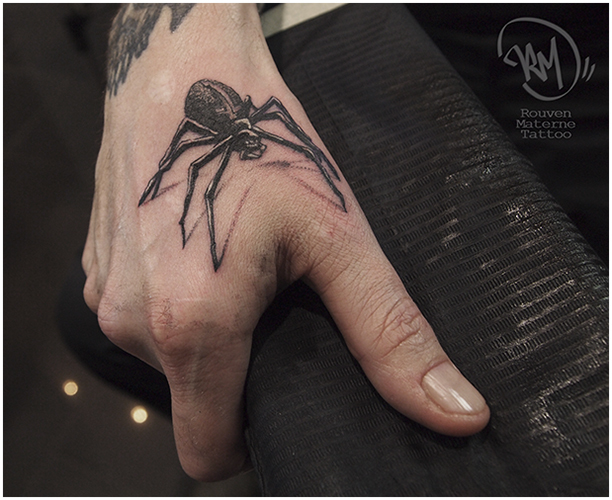 He feels well with dark, macabre and kind of grotesque illustrations, but also loves creative dot- and lineworks. 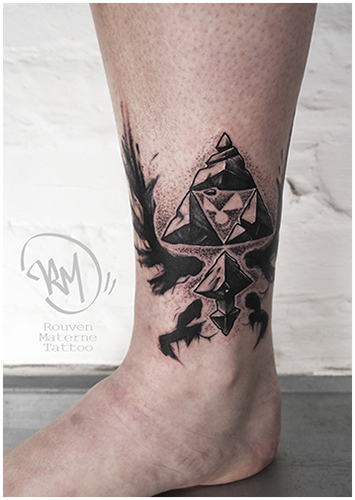 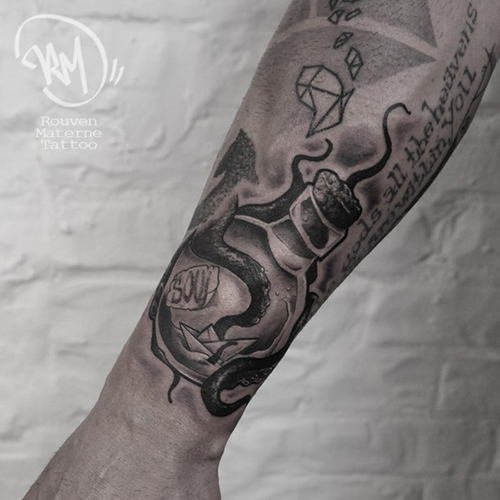 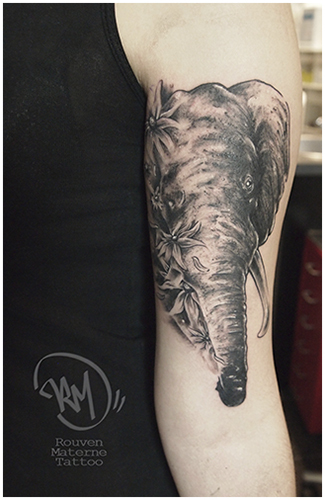 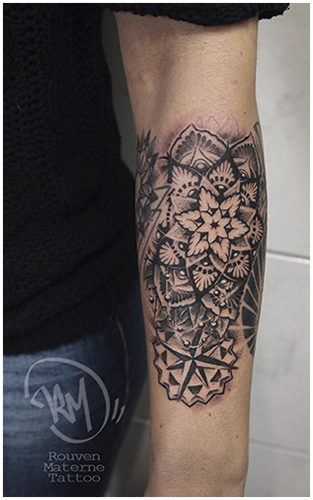 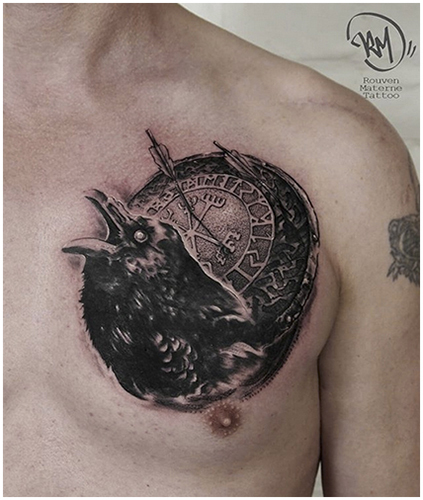 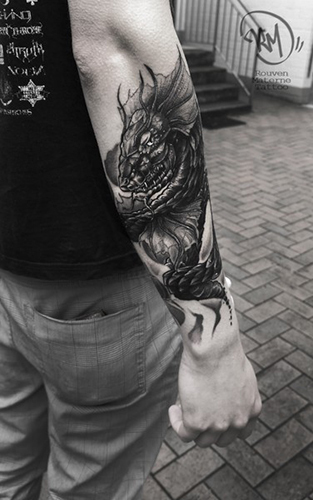 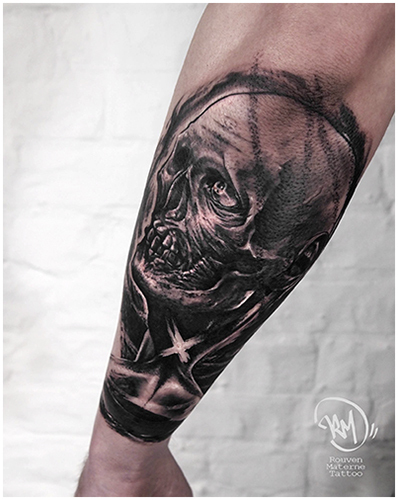 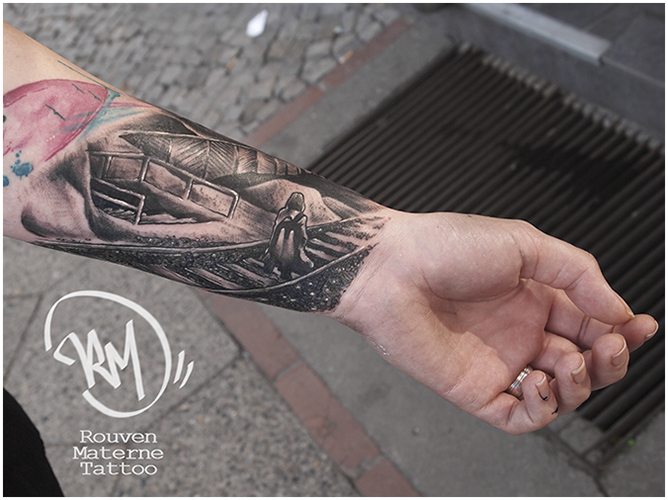 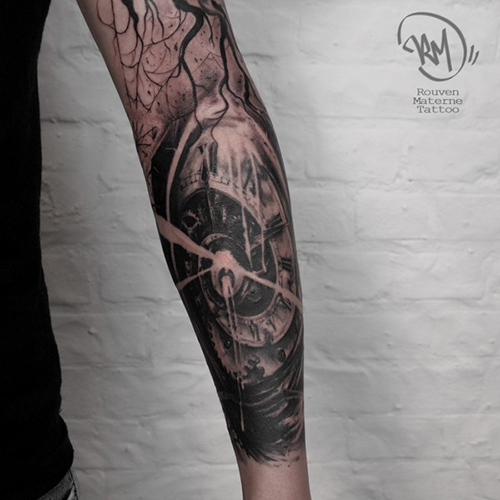 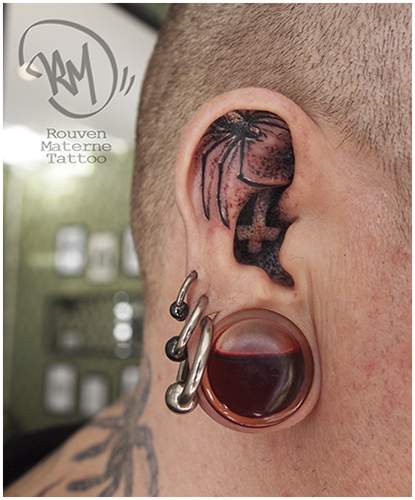 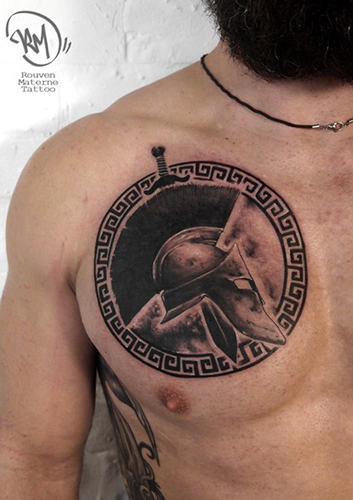 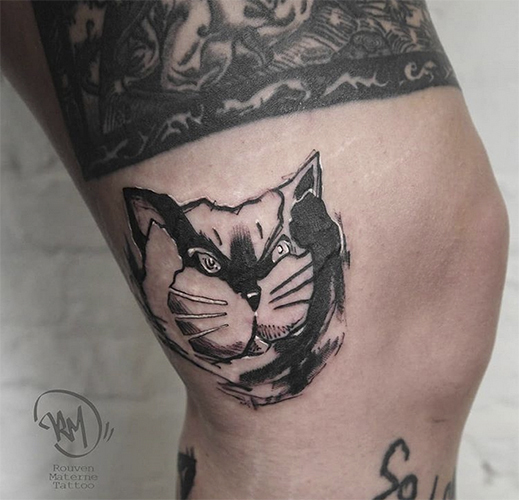 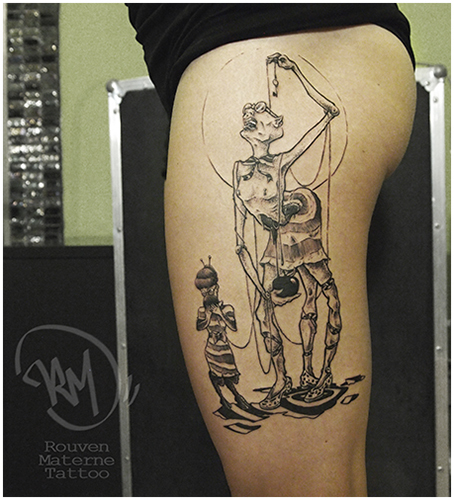 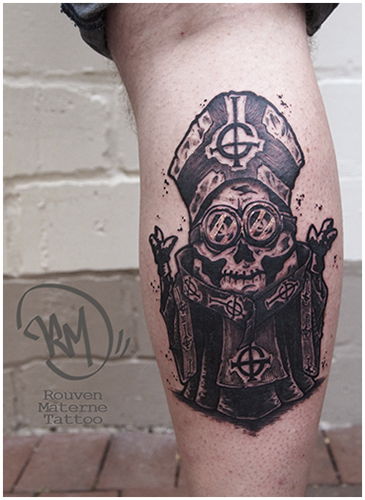 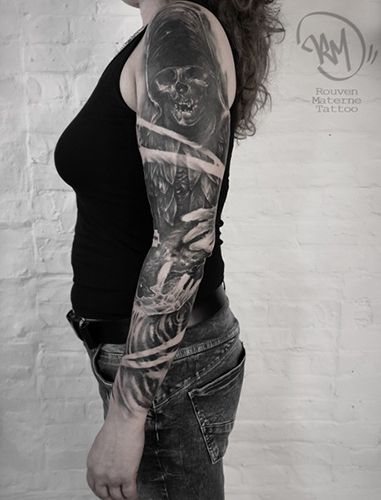 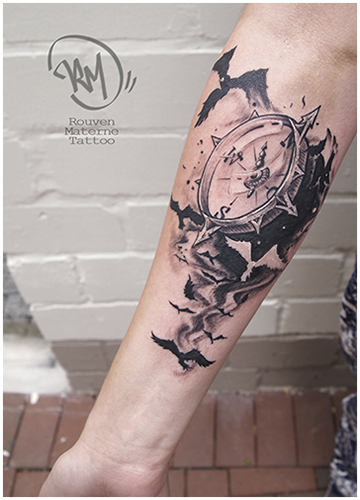 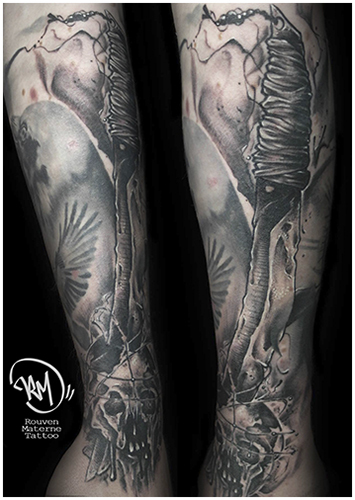 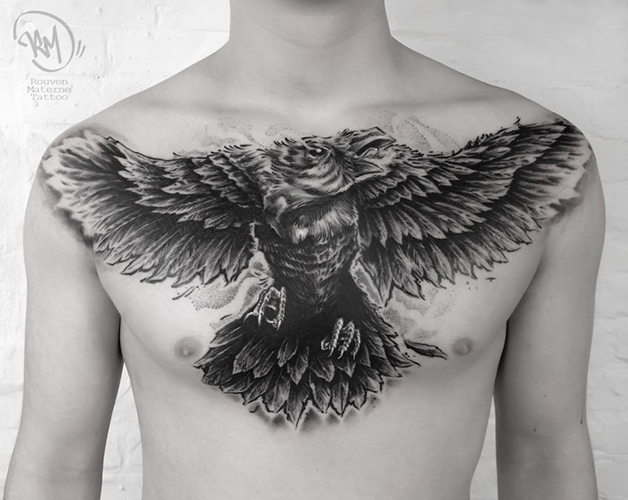 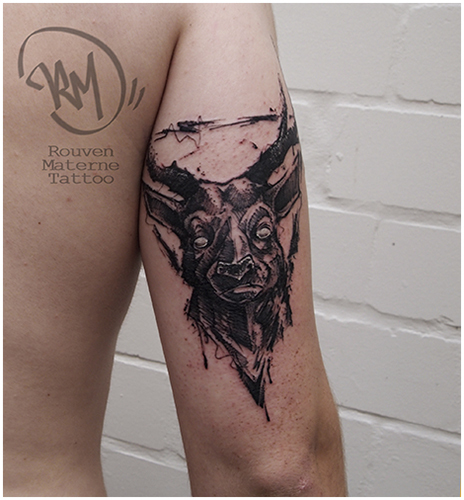 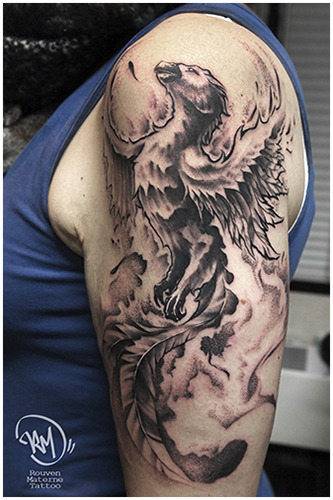 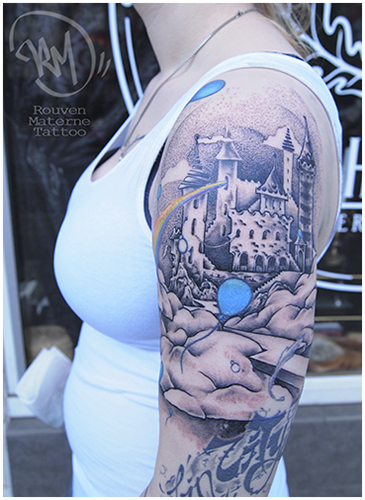 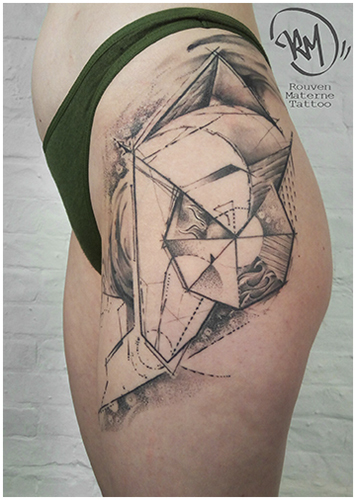 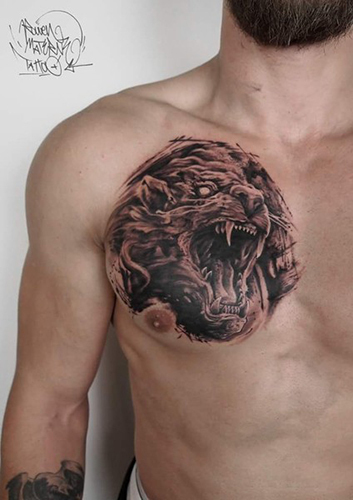 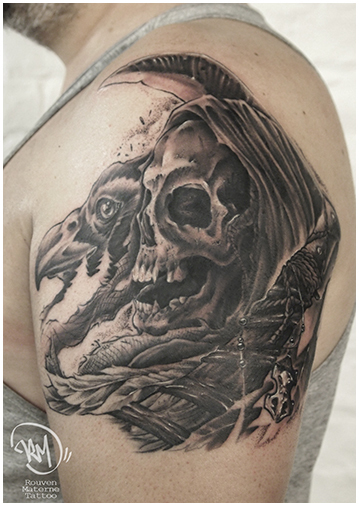 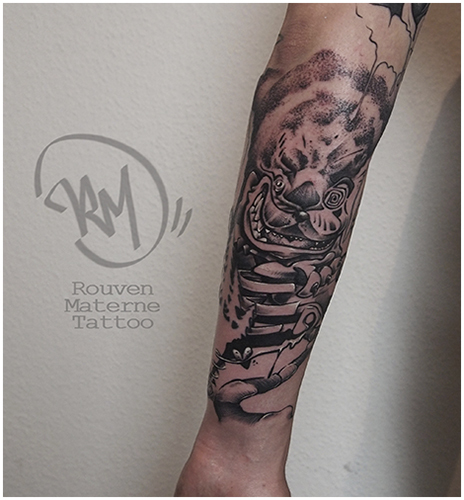 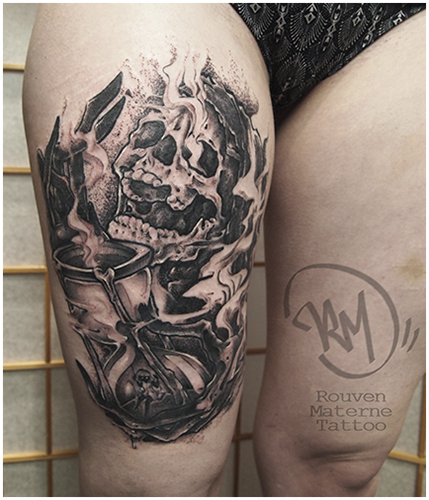 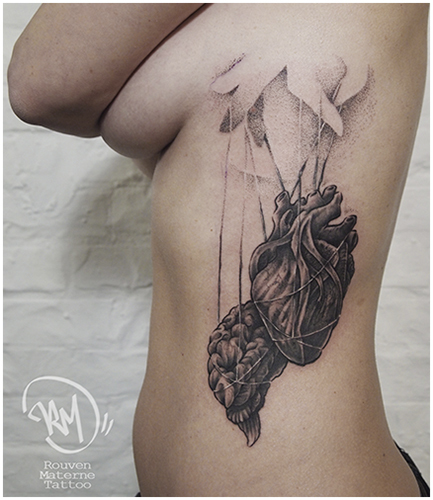 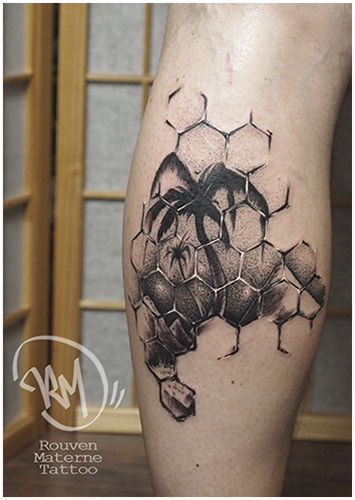 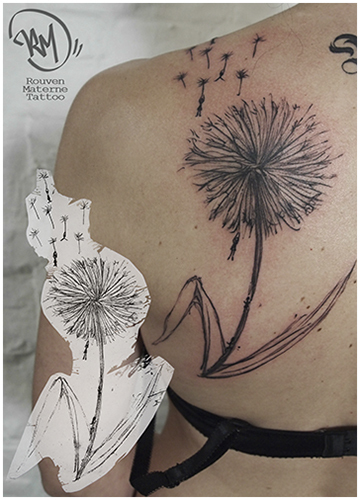 Rouven Materne spends full attention and all his creative development to every single motive to tattoo an unique piece of art.